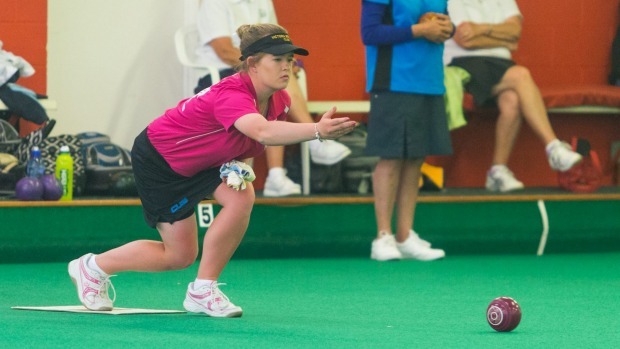 Heavy rain caused significant disruption to the New Zealand bowls championships in Taranaki on Tuesday. Play in the women’s pairs was transferred inside to the Paritutu indoor complex, with the 28 qualifiers reduced down to eight. Post section in the men’s singles was rescheduled to Friday. Natarsha Grimshaw (Papakura) and third-year junior Leanne Poulson (Pukekohe) were involved in a titanic struggle in the last 16 with Nicole Toomey (Victoria) and Lisa White (Naenae), prevailing 20-13. The pair from the capital led 8-3 after eight ends before the Counties pair gained the ascendency to lead 13-9. However, Toomey and White reduced the margin to one shot playing the penultimate end. That head resulted in five touchers before Grimshaw and Poulson scored a two. A four on the last sealed the result.